NSS has vast experience in providing national specialist cleaning programmes wherein our range of services are tailored to meet specific customer requirements. We provide these services to over 1000 sites nationally, both direct for end clients – major retailers – and also in support of leading FM companies. We receive great feedback from our customers on the difference we make and the standards we achieve. Our truly national, in-house capability and infrastructure facilitates consistent delivery and 100% compliance with health and safety requirements. Having locally based teams reduces travel costs, removing the need for overnight stays and providing real flexibility so that cleaning times are unrestricted. This means that cleans can be completed at any time of day or night and on any day of the week to suit the client. 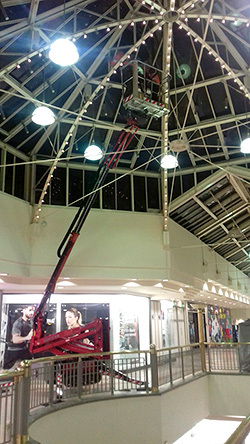 All NSS Specialist cleaning teams have a 14m MEWP at their disposal allowing access to most hard to reach areas. Using a range of cleaning techniques and access methods, we can bring most facades up to a standard that is in keeping with your brand. 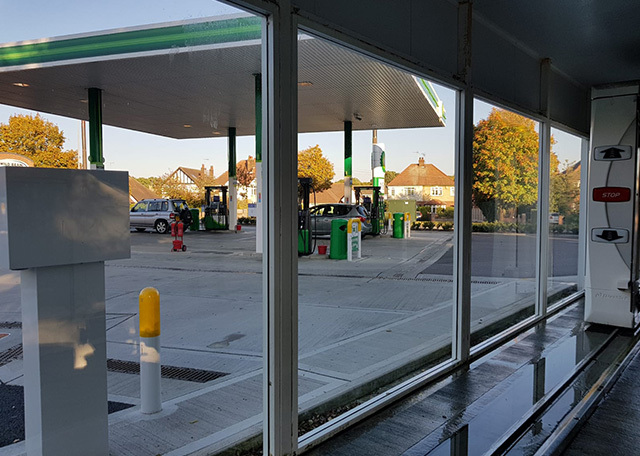 NSS Group offers a highly specialist service cleaning over 2000 petrol station forecourts for many of the UK’s leading retail businesses. Oil and grime that has built up over many years – as well as discarded chewing gum – will be easily removed by our best-in-class equipment preserving your brand reputation and professional image. 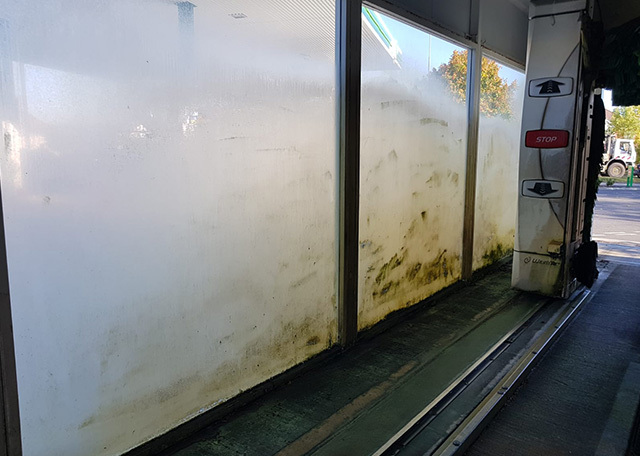 We can clean the entire forecourt including canopy, fascia, cladding, framework, car washes and forecourt floor plate, using our range of telescopic cleaning equipment and circular floor cleaning pans. 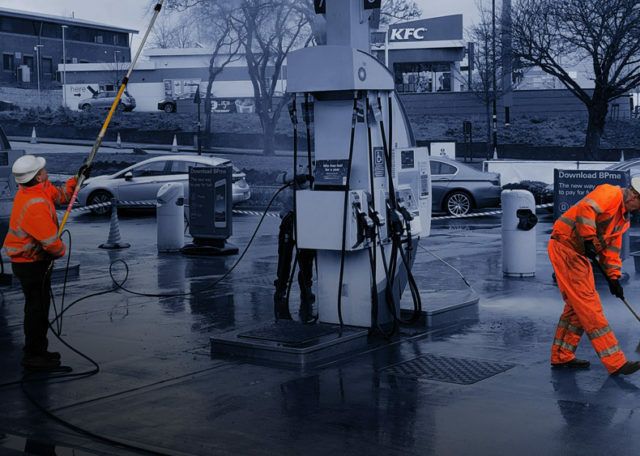 All of our operatives are certified to operate on petrol stations, holding the Petroleum Safety Passport certificate. Petroleum Safety Passport certificate. 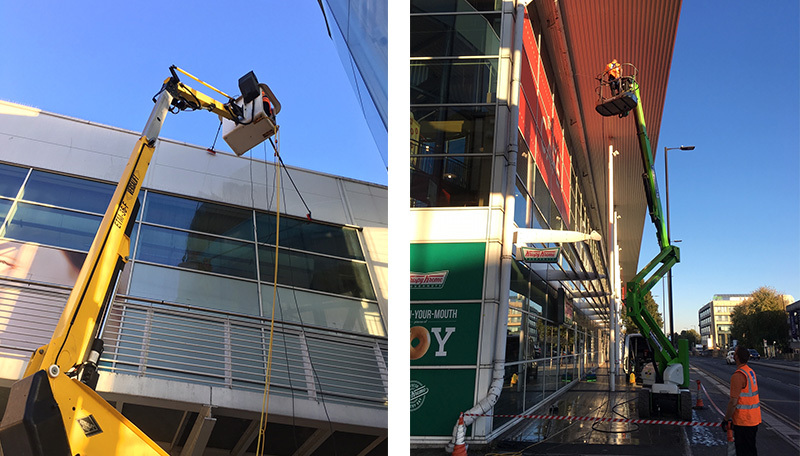 NSS Specialist cleaning teams are trained to IPAF standards and are qualified to operate a range of access equipment including scissor lifts and access spiders. We have experience in internal high level cleaning across many of the large retail supermarkets, shopping precincts and distribution centres. Supporting our customers with the removal of dust and debris at high level is achieved via a variety of techniques including industrial and high reach vacuums and accessories. Chewing gum can make paved areas look unsightly and dirty. Over time chewing gum turns into an unattractive stain and it becomes more and more difficult to remove it. These stains cause business premises to look uncared for which can ultimately have a negative effect on customer perception. NSS have the capabilities to quickly and efficiently remove deposits of chewing gum using the latest equipment and cleaning techniques. 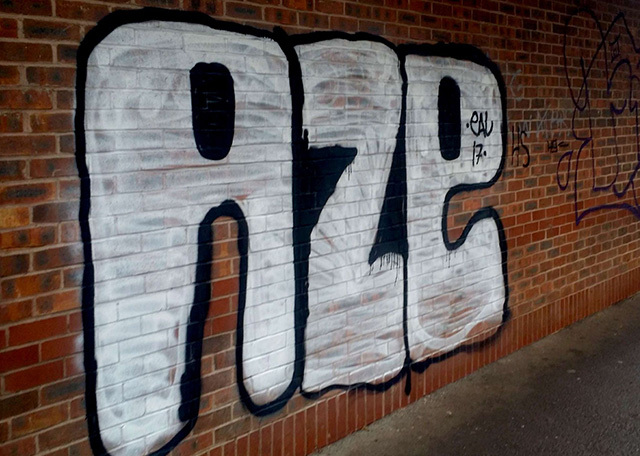 Graffiti is a common problem and one that effects premises in urban areas on a daily basis. Effective removal depends on a number of variables such as the type of surface affected, the age of the graffiti and the type of paint used. NSS Specialist cleaning teams have all the necessary tools and equipment to remove Graffiti from the majority of surfaces. The teams use the best Graffiti removal gels and ghosting removal products available. Pressure washing is one of the preferred methods of cleaning a variety of surfaces. 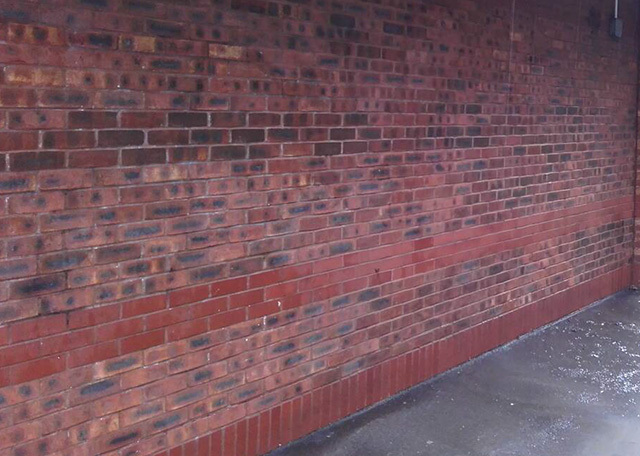 From paved areas to cladding, pressure washing is suitable in a number of different cleaning contexts. Pressure washing is an excellent way of maintaining or restoring the look of tired areas, boosting the curb appeal of any premises. NSS have invested heavily; all Specialist teams have a powerful, hot water high-pressure cleaner with robust four-stroke diesel engine at their disposal. In addition, a selection of high reach tools allow our teams to reach areas not just at low level. The results achieved can be staggering restoring old surfaces to new, enhancing appearance and saving money. To assist with this service the NSS teams have specialist DOFF Cleaning equipment that can be used on porous surfaces and also on listed buildings.